On December 2017, some national celebrities were invited on TV to unveil their top-10 of 2017. 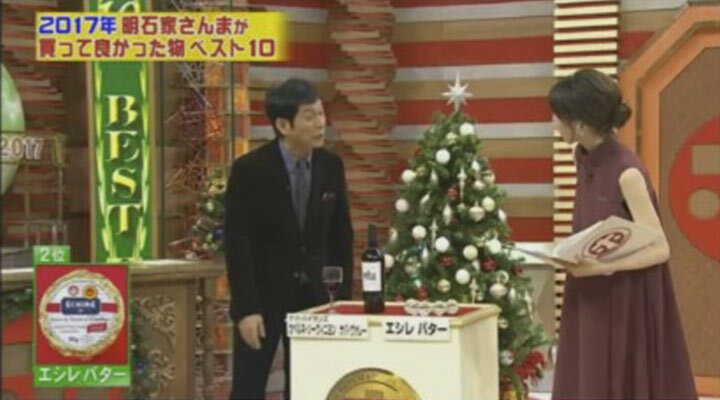 Each Japanese star was encouraged to select and describe one product they particularly liked. 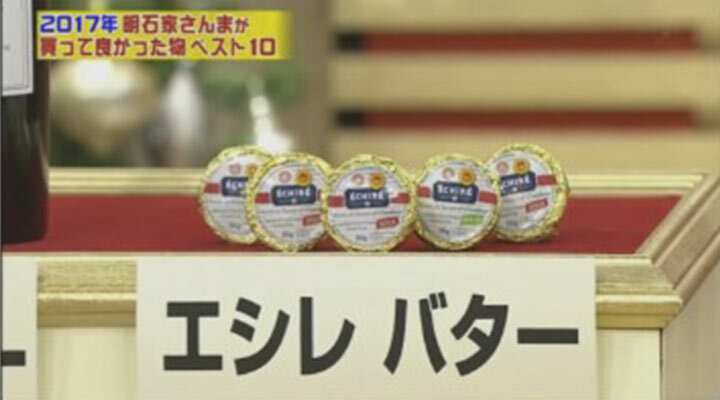 Therefore, Echiré butter had the honour to be publicly displayed on national television! “It’s so good, croissants from the Echiré shop are to die for. 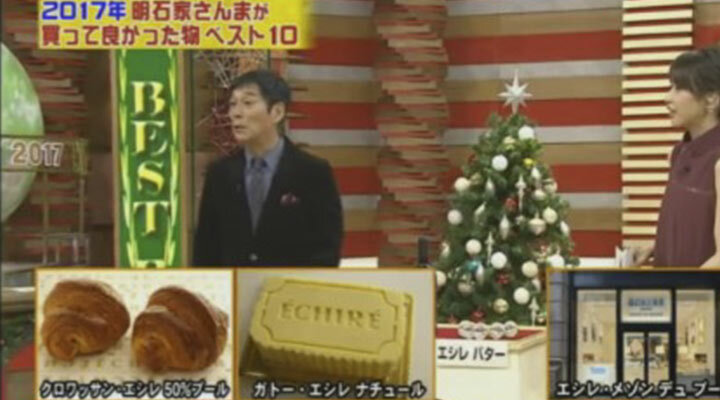 Echire butter is also available in store to be spread on your bread” ” said one star. Here are some pictures of this big TV show. Article Précédent : The best epiphany cakes of Deux-Sèvres region are the ones of Eric Chevallereau and Didier Grenier! Article Suivant : Our gastronomy goes around the world into international plates!